The tour will start from the city center of Naples where you will have free time about 1 hour and you can admire Piazza Plebiscito, Piazza Triestre e Trento, galleria Umberto and you can stroll along the shopping area called via Roma. After this you can taste italian coffee and the typical neapolitan paistry called SFOGLIATELLA. 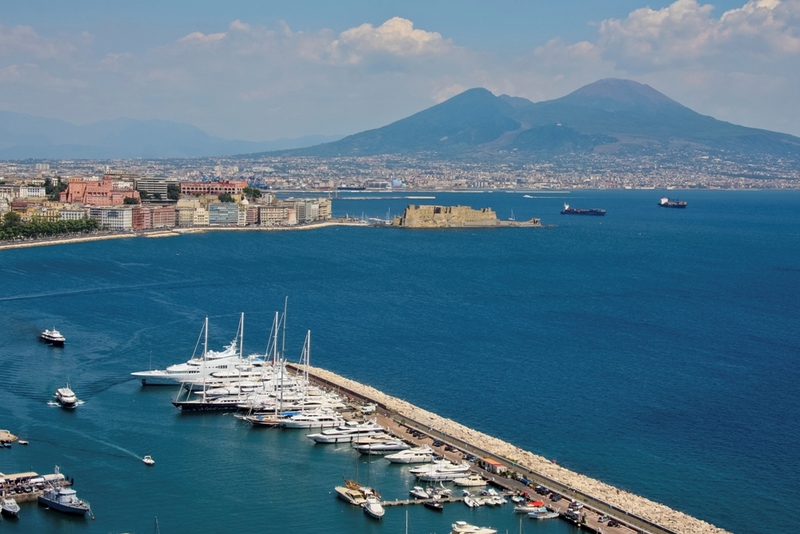 The tour will continue showing you a panoramic view of Naples and Mount Vesuvius in the distance. At the end of the day you will be taken until the main church (Duomo of S.Gennaro) before to get to the National Archeological Museum where you can admire all the findings from the excavation of Pompeii and Herculaneum. During the excursion the driver will recommend you for lunch (optional) and you can taste the real neapolitan PIZZA MARGHERITA that was born in Naples in the 1889 and if you need we can organize the private licensed guide in Naples- Archeological Museum that you can book trought uor company payment the extra charge.